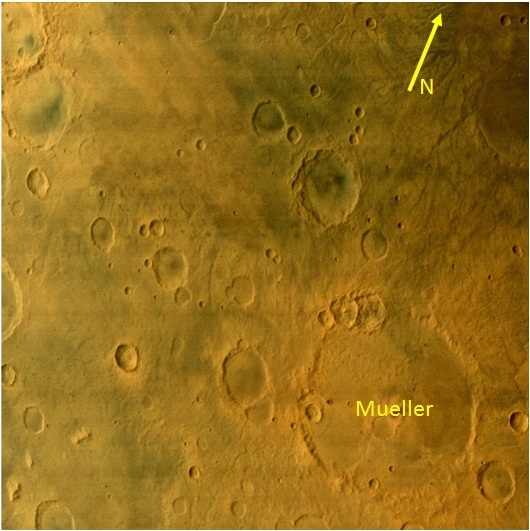 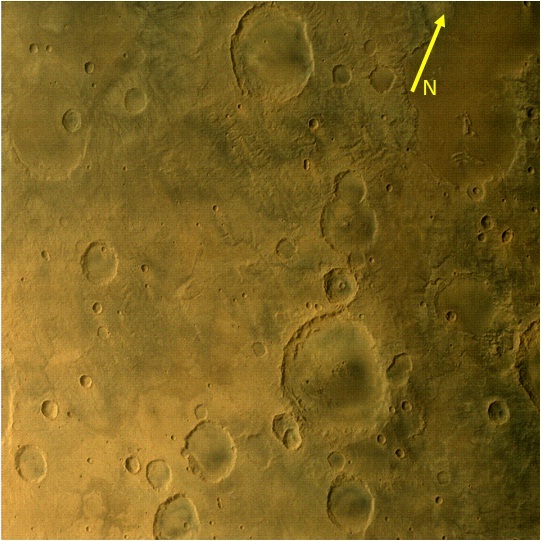 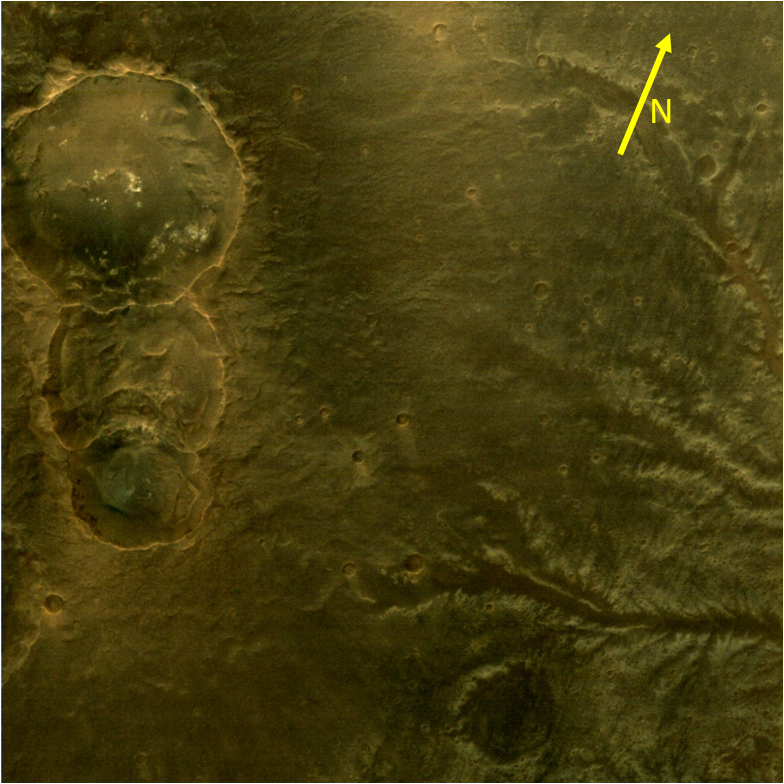 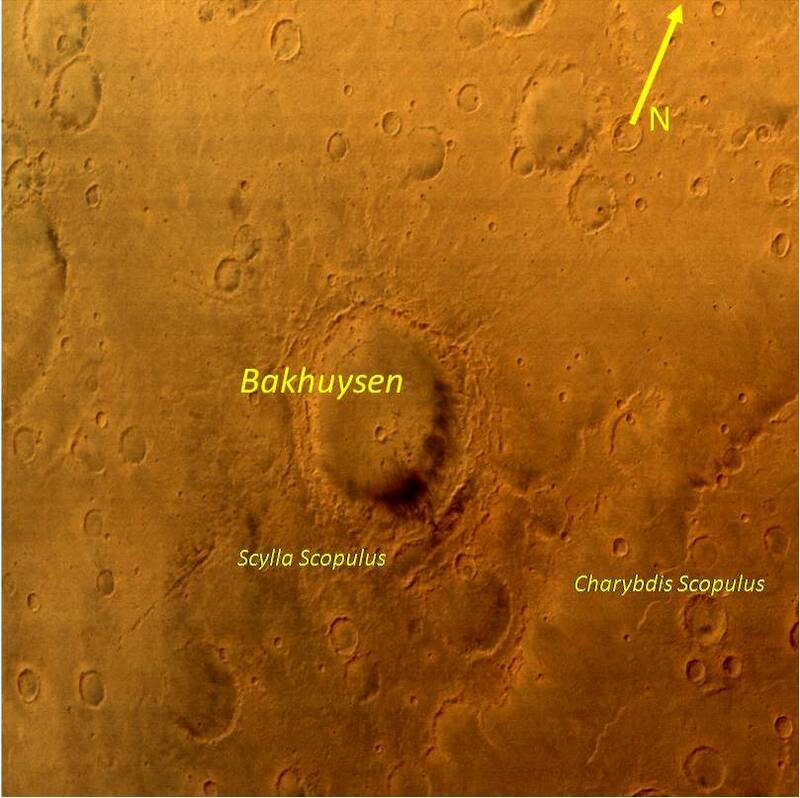 Gale crater is located near the north-western part of the Aeolis quadrangle. 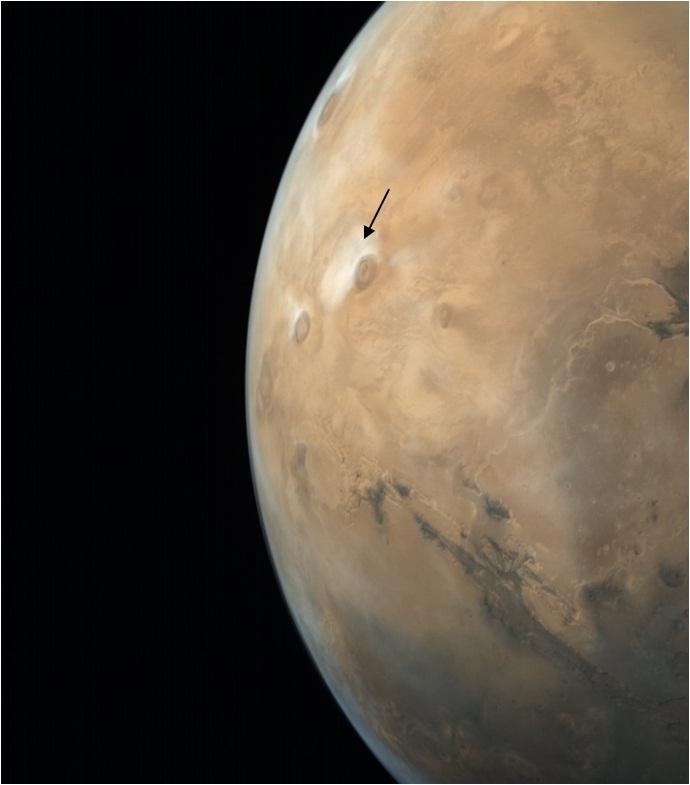 The crater was named after Walter Frederic Gale, an Australian amateur astronomer of 19th century. 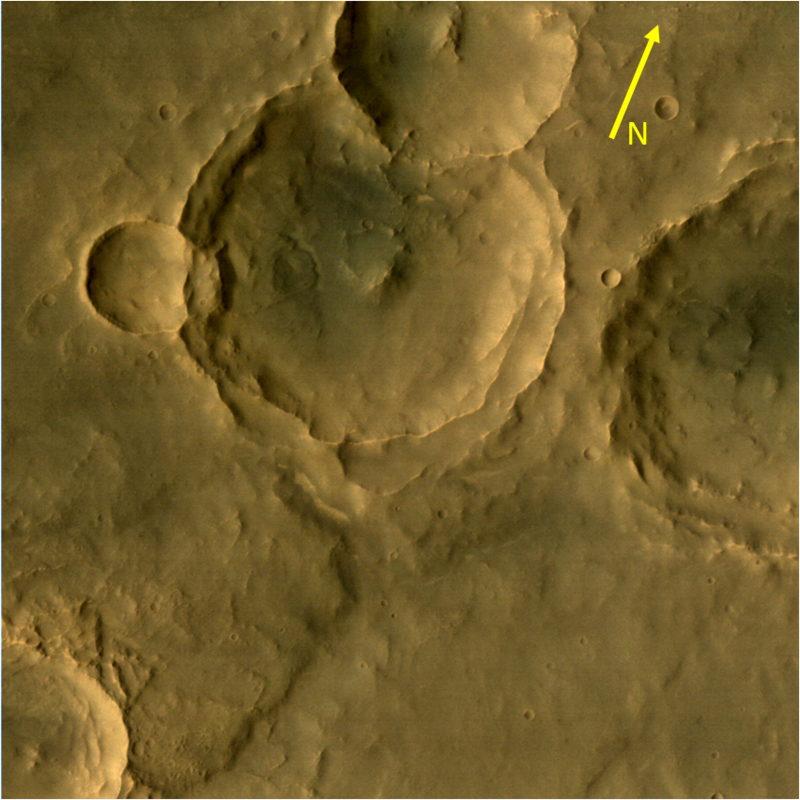 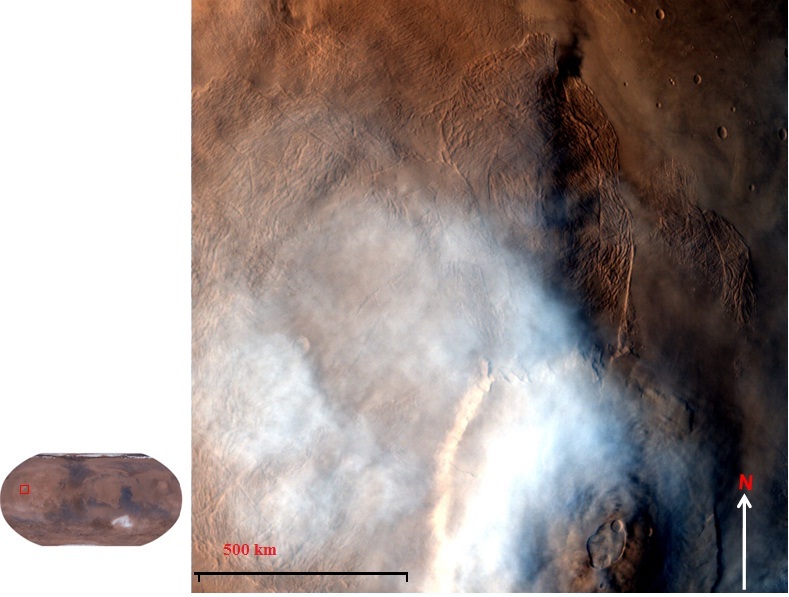 Aeolis Mons rises (5.5 km) from the floor of the Gale crater. 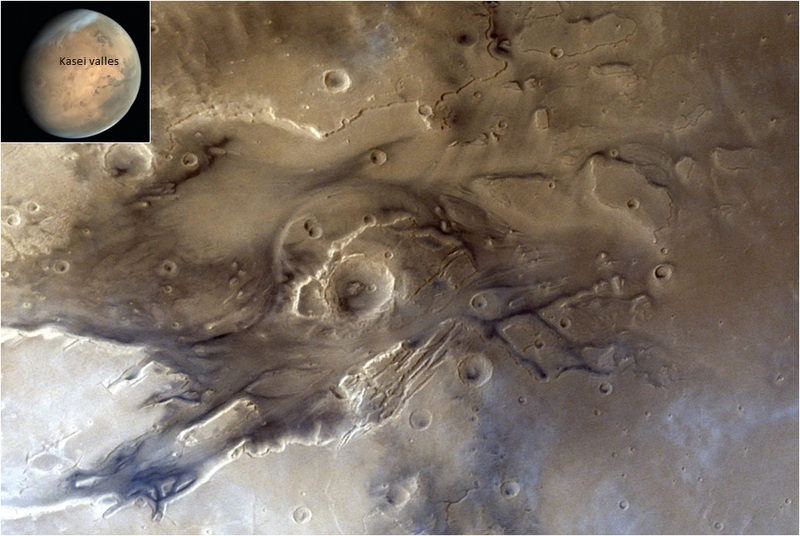 Gale crater formed when a meteor hit Mars in its early history, about 3.5 to 3.8 billion years ago. 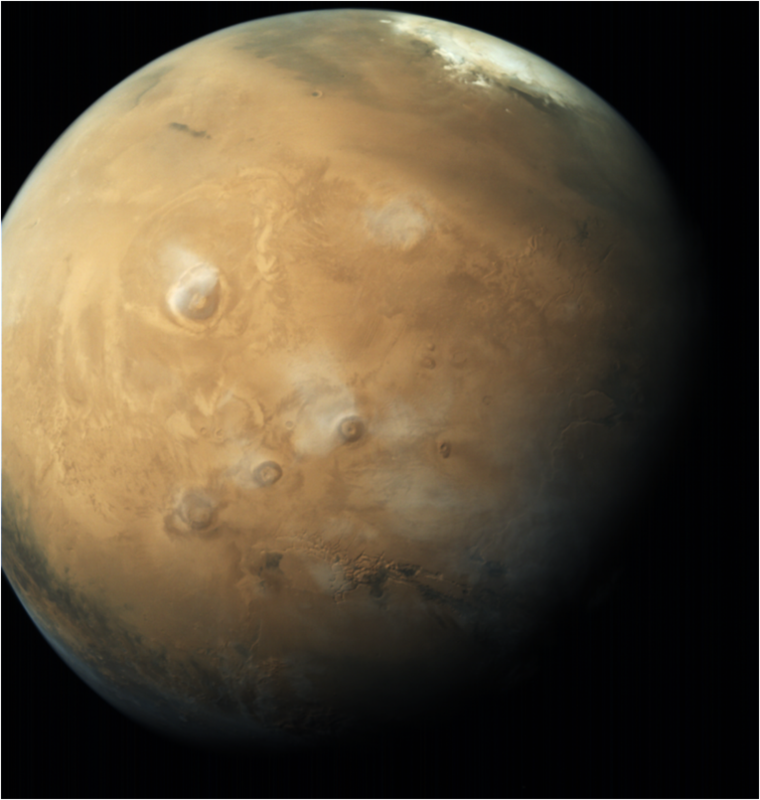 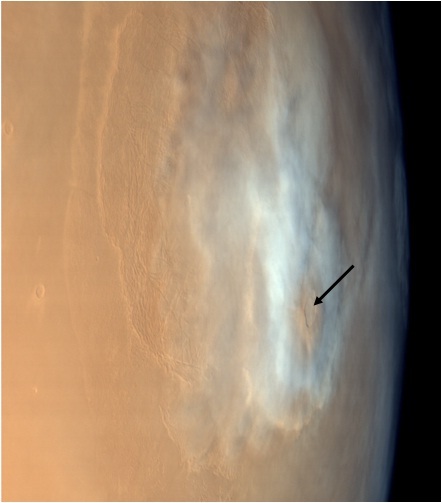 This image is taken by Mars Colour Camera on January 17, 2015 at an altitude of 9004 km with a resolution of 468 m.